BT has announced details of its plans to trial the superfast Fibre to the Premises broadband in eight UK locations, ahead of the planned spring 2013 launch. The FTTP connectivity will bring insane download speeds of 330Mbps and upstreams of 30Mbps by running fibre-optic cables from the exchange directly to the building, rather than just to a nearby cabinet. The service is aimed at businesses rather than residential users and BT will ask those trialling the service to contribute to the costs of bringing the technology directly to their location. Trials will begin from July in High Wycombe, Bristol South and St Agnes, Cornwall (where the first tests initially commenced). In September, Edinburgh Waverley will also join the pilot. From March next year, the second phase will commence, with customers in Watford, Cardiff, Basingstoke and Manchester Central able to request FTTP connectivity prior to the full commercial launch. BT's Openreach division, responsible for the roll-out of superfast broadband thinks that the current Fibre to the Cabinet solution - currently bringing 80Mbps speeds to homes across the UK - will remain the most popular solution. Mike Galvin, Openreach's MD Network Investment said: "FTTP on Demand has great potential and so we are proceeding with these pilots." 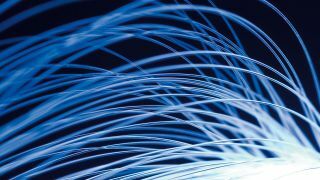 "Whilst we believe FTTC will be our mass market consumer product for some time yet, FTTP may be of interest to small and medium sized businesses and so we want to make it accessible throughout our fibre footprint. "This development can potentially help SMEs to compete both at home and abroad as well as maintain and create jobs across the UK." As for the charges for deployment, there'll either be a considerable one-off fee or higher monthly rates for early adopters.